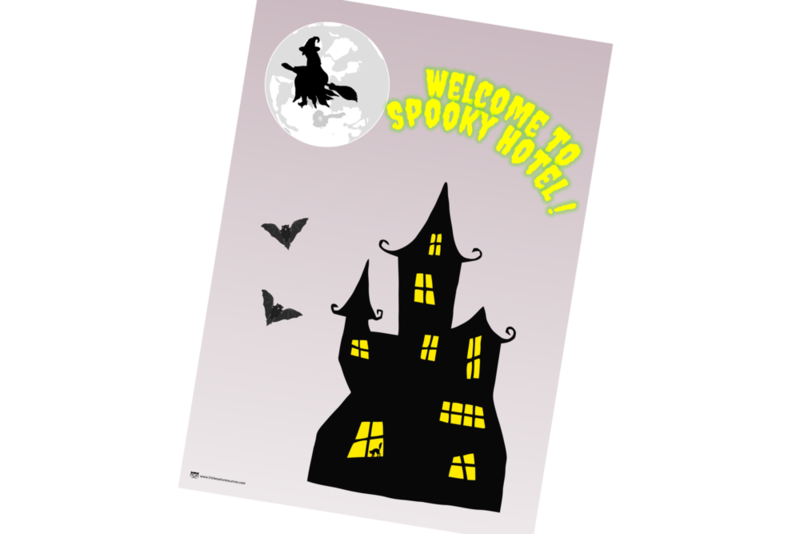 FREE Spooky Halloween Hotel Welcome Poster Early Years/EY (EYFS) resource - printable download for use with young children. Other resources found at Little Owls Resources include: role play, alphabet and phonics/letters and sounds teaching and learning, number lines, maths and literacy games, topic display board banners and borders, writing frames, phase 2 and 3 key word flashcards, colouring sheets, songs, nursery rhymes, fact files, activity ideas for use in Early Years settings and more. Ideal ever expanding bank of materials if you are a Childminder, Preschool/Nursery Practitioner, Early Years Teacher or Parent of a 0-7 year old!